78% would rather spend their money on “experiences” vs. possessions. 70% say that Fear of Missing Out (FOMO) factors into their purchasing decisions. The share of total US spend allocated to experiences has grown 70% since the birth of the first Millennial. This shift in priorities has created an entirely new type of brand/consumer relationship, the repercussions of which are shaking up the world of marketing. Brands that want to reach this Millennial market in a real way must make a shift in creative and tactical marketing strategy. Attention must move away from hard-selling and towards connection. Focus should be less on the product itself, and more on how the brand is part of an authentic and aspirational experience. 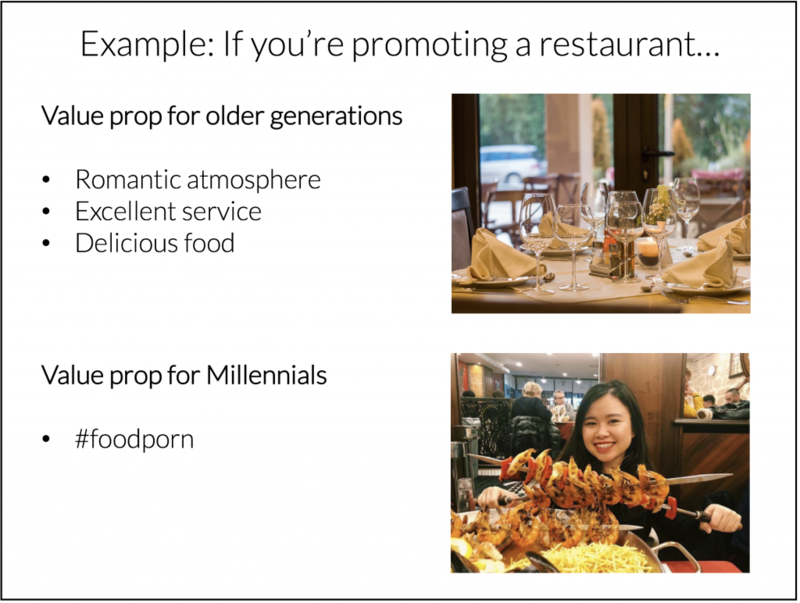 According to Eventbrite’s nationwide research of Millennials, the vast majority (78%) of this generation values experiences over possessions, and 72% said they would like to increase spending on experiences. This obviously doesn’t mean they only care about Burning Man and trips to Belize — younger consumers still buy sneakers and soft drinks, after all. But the key takeaway for marketers is to focus promotional efforts on the value of sharable memories associated with a product, rather than on the material value of the product itself. For Millennials, the perceived social value of a purchase often outweighs its material value. Economists have been predicting this shift for years, but 2018 marks the moment when the ad industry as a whole truly pivoted to align with the market perspective of the Experience Generation. Brands doubled their investment in Instagram Publishers, pulling spend from traditional digital channels to serve authentic, experience-based content. In other words, don’t think of your brand as a product or service — think of it in terms of what it promises, and how that promise plays into the ongoing stories your consumers are telling about themselves on social media.